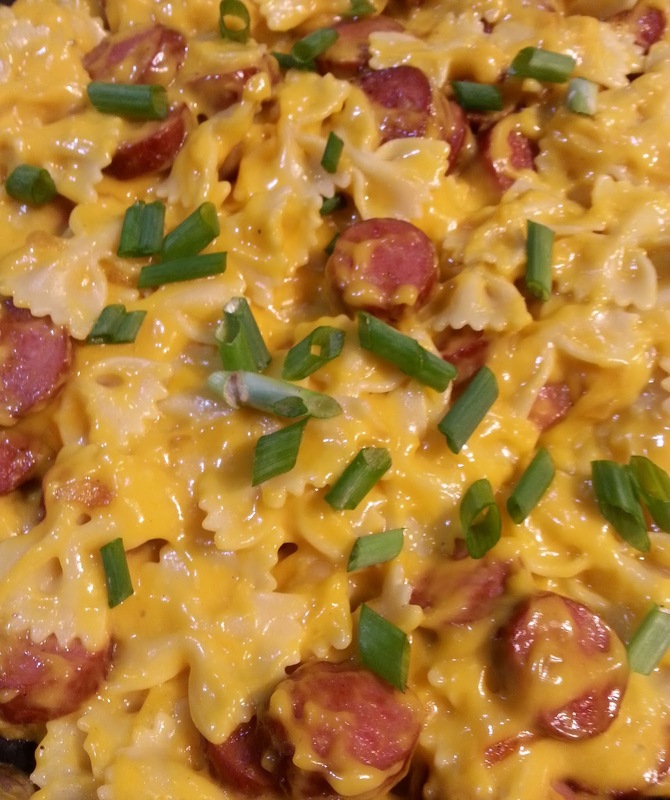 There are so many reasons you're going love this recipe for Cheesy Fire Roasted Garlic Smoked Sausage with Pasta. From the flavors of smoky roasted garlic to the flavor of the cheese. Cook pasta according to pasta directions. Add plenty of salt to the pasta water. Drain and return pasta to pot. In a skillet heat oil over medium heat, add onions and season with salt and pepper. Add smoked sausage and stir. Cook until onions are tender. Remove sausage and onions to a paper towel line dish. In a separate skillet, add cheese, stirring. Stir in pasta and smoked sausage, heat through. Garnish with green onions. This is so simple and full of flavors...as I said my grandsons will love it! Oh it's so good. I hope your grandsons get to try this soon. Thanks, Ally! Such a mouth-watering pasta, Christine! I hope you get a chance to make this. A perfect dish for busy folks!